If you run into a problem, you’ll want to let your client know right away. Learn how to report problems through the Properly app. If you run into an issue while working a job in the Properly app, you can - and should! - report it to your client. On the task where you ran into the problem, click the ! icon. 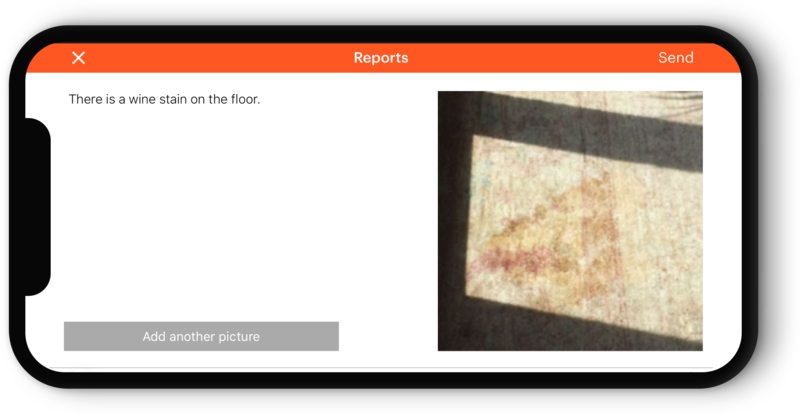 Take a photo if you’re reporting damage to the property, a missing item, or insufficient inventory to complete the task. If you were asked to stock 4 toilet paper rolls and there are only 2 toilet paper rolls in the supply cupboard, that’s a reportable problem. 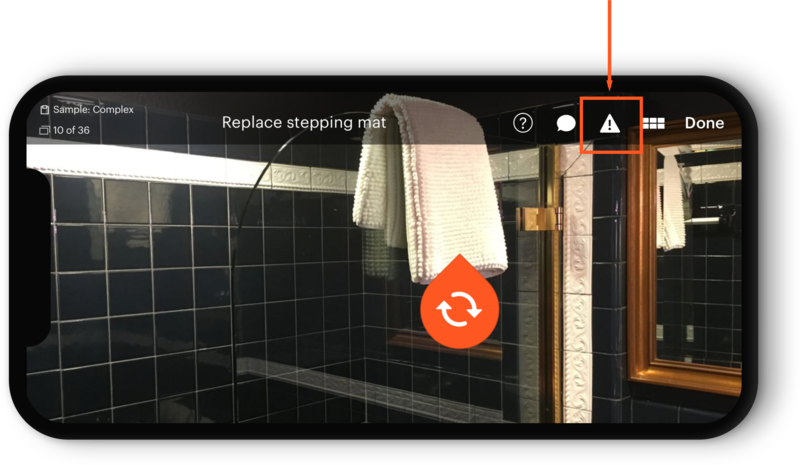 You can add text to your photo to describe the problem in more detail. If you can’t take a photo of the problem, please describe it thoroughly to the client. If there is a bad smell in the property, for example, describe the smell, see if you can pinpoint its location, and explain how severe the problem is. The more information, the better. The client needs to have a good understanding of the problem to know whether they should alert the guest to adjust expectations, or if they can resolve the problem before the guest arrives.